Delicious Homestyle Meals at Reasonable Prices! 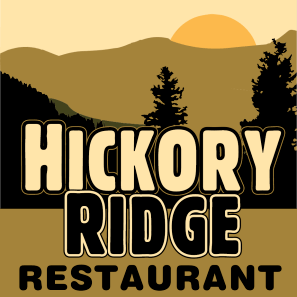 Hickory Ridge Restaurant has two convenient locations in Franklin and Cumberland County - Chambersburg and Carlisle, PA! We are the county's finest family restaurant serving breakfast, lunch and dinner. Come in for some of the best family dining in the area! Inviting atmosphere and delicious eats. The weekend steak and seafood buffet was extremely good. The BBQ Ribs, pulled pork, NY Strip, Baked Corn were great. I saw a lady say the the Mussels and Clams were so good she was staying all night. She must have eaten 10 dozen! Sadie our server was wonderful. Will be back. We ate here for the first time today and it was great!! Starting with our server, Mitch, it was all excellent. We liked the atmosphere, it was clean and our food was delicious! Their Apple Butter is amazing, we also had the brisket sandwich and a hot turkey sandwich with fresh cut fries and again it was all very good!! The kids meals were great with enough food to take home! I had a soup and sandwich combo. My crab chowder was absolutely delicious and my sandwich was so good that I wished I had more! The restaurant was very family friendly and the staff was extremely helpful and friendly! I would recommend checking out this newly opened restaurant as soon possible.